One of the areas of the Mediterranean coast is having more success with customers in Villas in Spain and for many citizens of northern Europe who come to this area to live and enjoy a great vacation, is the area of Rojales. More specifically the option of buying a new apartment in La Marquesa a paradise for golf lovers located south of the Costa Blanca. A cheap sale villa in this area of Alicante is an option allows you to enjoy a magnificent contemporary villa with great detail to enjoy every minute of stay in it. Besides being able to enjoy a property next to the golf course and the hills full of vegetation in the area, you will enjoy breathtaking quality life besides a lot of fun every day. Like most of the properties of Casas Espania, these are close to shops, restaurants, bars and supermarkets, in this case the urbanization of La Marquesa. The Club de Golf La Marquesa in turn is located in a valley surrounded by mountains and surrounded by exclusive space weather of La Marquesa. His tour has 18 holes and have long and short holes is convenient for both experts and beginners who just want to enjoy a day outdoors in the best climatic and natural conditions. It is a broad, flat, easy for players of all ages and perfect field to avoid physical waste in which you must use all the clubs. 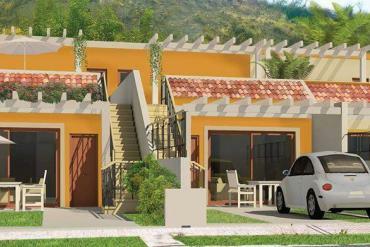 A luxury you can enjoy if you decide to buy a new apartment in La Marquesa with our help. You will feel supported at all times. Both during the process of sale and thanks to our great After Sales Service in helping our customers achieve adaptation to their new home comfortable as possible. 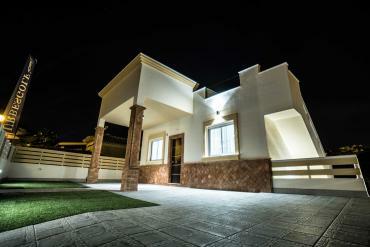 To purchase a new home in La Marquesa Costa Blanca in Spain, it is best that you contact us. You can enjoy your new home for sale in Alicante, Costa Blanca in Spanish in the best conditions at a very low price in less time than you can imagine.